Patrick Powers and M.L. Laughlin are Co-Owners of Capitola Builders. Patrick, his wife Amy and their family make their home in Mansfield. Patrick came to love building through following his grandfather around as a young boy. As he grew older, Patrick spent his summers working with his grandfather learning from his experiences as a builder. In the days of Patrick's grandfather, builders actually built the homes so he learned from the best! Patrick started his building career as a project manager balancing 50-70 homes per year. From there he moved into the custom home market and managed the construction of million dollar homes. He and his current partner, M. L. Laughlin then formed their own custom home company for the next 6 years building homes in that "sweet spot" of 2500 - 3500 square feet of living area. Having worked primarily in the Houston area, Patrick and Amy were eager to return to the DFW area to be nearer their family so he and M.L. agreed to continue their building careers in North Texas and Capitola Builders was formed. M.L. Laughlin and Patrick have been friends and partners for a number of years. M.L. initially had been the owner of a successful tile business in the Houston area and had become acquainted with Patrick through his work in the tile business. M. L. transferred ownership of his tile business to his son, and began building homes with Patrick. When Patrick and Amy decided to return the DFW area, M.L. dabbled in a few different directions in the Houston area...but it wasn't long before he and Patrick were back in business together in the DFW Metroplex and Capitola Builders, LP was born! M.L. makes his home in Arlington, TX. 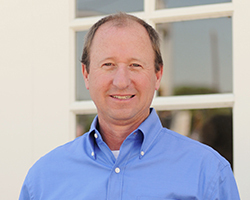 Bob Powers is a permanent fixture around Capitola Builders since the beginning as well. 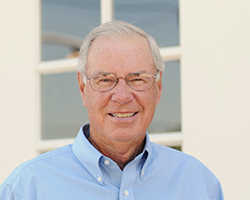 Bob worked his first successful career at TU Electric in many positions. 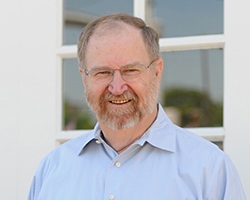 When he retired in 1997 from TU Electric, he held the position of Arlington District Manager. He played golf for about 18 months after retirement and it didn't take him long to get in on the action at Capitola Builders! 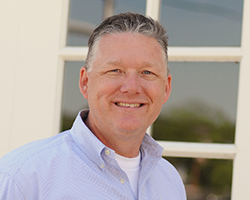 Bob is responsible for sales, consultation with clients in construction and the overall maintenance of the homeowner's budget documentation. Bob takes care of his clients day in and day out making sure they have everything they need to ensure they have a positive build experience all the while making sure to work in the "occasional" game of golf! Bob and his wife Mary Jane make their home in Mansfield. Debbie Manning works with Capitola Builders as a Construction Manager. 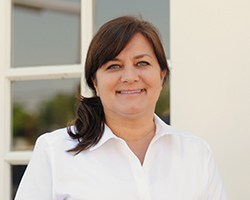 Debbie has been working in the construction industry going on 15 years and has been with Capitola Builders since the beginning. She helps projects to stay on schedule and finish in a timely manner. She builds the spec houses for Capitola Builders and assists clients with their selections and makes sure everything is ready to go once the build job moves to the interior phase. She has affectionately been accused of being the "Construction Mom" – after raising 3 boys...how could she be anything else? Debbie and her husband Rusty make their home in Waxahachie. Secondly, once you have your land choice narrowed down, it is time to get started on house plans. "Where do I start?" is a question that we hear often. Most people have some ideas of kitchen and master bath areas. My best advice here is to look through plan books, on the internet for house plan websites, friends' homes, etc. be hungry to gather ideas! Remember, everything is cheap on paper! Collect your ideas and now it is time to sit down with designer. Bottom-line when choosing your person to work with you on the design of your new home, you want to choose someone to work with that has the ears to listen to your goals and desires and will help you to bring YOUR GOALS AND IDEAS fruition. At Capitola Builders, we have been working with David Winchester of Winchester Home Design Since opening our doors. Any time one of our clients need design help, David is our first choice. There are many things that we appreciate about David Winchester and his plans. David not only looks at the clippings, paper napkins with ideas, 2" binders full of ideas but he seeks to listen to the client and learn how the client wants to LIVE in the house and what the clients' goals are for their new custom built home. He strives to keep fresh and interesting design concepts as well cost efficiency in mind when designing for his clients. He has knowledge regarding the different costs of different styles and designs and is able to help a client to know this information before going to final plans. At Capitola Builders, we are happy to partner with Winchester Home Design to meet your design needs and to help make sure that you understand your design options and how they affect the cost of your project. Fill out your contact information on the Contact Us tab to learn how you can get started on your dream home today! Ha ha ha ha!! Seriously speaking, there are many times that we need a lawyer and are not sure who to go to. When we opened the doors of Capitola Builders, LP in Arlington, Texas, we knew we needed the services of a dependable title attorney and one that understood our building philosophy and could help to relate and explain the closing paperwork in an efficient and understandable way to our clients. We quickly crossed paths with Stacey Glindmeyer, Attorney at Law, P.C. of Providence Title. Over the years, Stacey has been as dependable as the sunrise when it comes to getting our clients' title work processed and construction loans closed in a timely manner. She has been a steadfast advisor when problematic or sticky situations arose with land acquisitions. Stacey has an amazing ability to explain things in easy to understand layman terms and an uncanny ability to put clients at ease who are a little nervous making this big life decision. Stacey works tirelessly to ensure every client has a smooth closing experience. 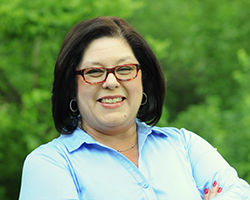 We are happy to have Stacey Glindmeyer as a resource for our clients at Capitola Builders! Stacey definitely does not fit the typical "lawyer joke" stereotype; however, she will definitely share a good chuckle with you! We would NEVER (wink wink) tell a lawyer joke around Stacey but here is another one for your pleasure! With all of the experience around the office at Capitola Builders, close to a combined 100 years, there is nothing we haven't seen. It is our mission to help each client to have an enjoyable building experience. After all, home is where so many memories are made, and we want them to be good ones from the start! Welcome to the family and experience a better way to build with Capitola Builders! Spray foam insulation is a great product. Homes insulated with it can be some of the most efficient and comfortable homes built. I've been in plenty of homes insulated with spray foam and can tell you that, when done well, those homes are airtight and comfortable. I�ve also seen homes where the spray foam was a waste of money. Just splurged on some marble and copper homewares? You may want to stop reading. While it seems like just yesterday we were celebrating the new year, trend forecasters and designers are already thinking well into 2017 – and there's a big shake up of interior trends predicted.